Motions House dance + Prince Charles-double shot. DITCH THE TREADMILL. THIS IS KEEPING FIT THE FUN WAY - party popping WITH A DRINK IN YOUR HAND AND RULING THE DANCE FLOOR LIKE A BOSS. START: Motion’s Tanz, Prinzenstrasse 85 Aufgang B1, Aufbau Haus am Moritzplatz, 10969 Berlin. FINISH: Prince Charles, Prinzenstraße 85f, 10969 Berlin. U / S - BAHN: Moritzplatz. THE PARTY: “Welcome to Kreuzberg 10/10” party at Prince Charles, doors open at 23. Expect dancehall classic sounds from Berlin’s best including City Lock, supersonic, Timeless & Sensi Movement. Prince Charles is a Berlin party institution for its eclectic mix of soulful house and Hip Hop classics and definitely one to have on your radar if you like the sound of a dedicated Drake night or a “Burgers & Hip Hop” street food fair guest event (in the summer, the action spills into the courtyard). There’s also electro, techno and house on the turntable every weekend if you like a mix. The location is awesome - in an old swimming pool with the bar placed inside the sunken fool, complete with fish mural. 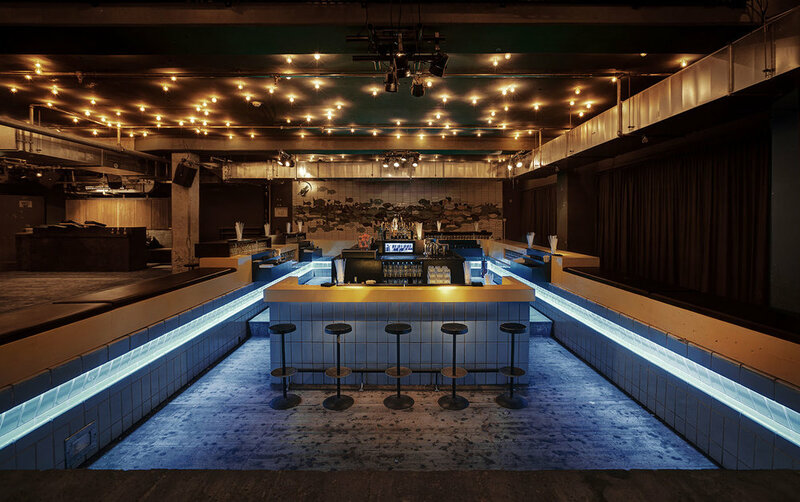 Grab a drink at the bar and dance the night away in this cool crowd. As always in Berlin, expect to queue, but don’t expect anything other than friendly bouncers and an awesome night out. THE PRICE: Motions studio: A drop-in class €12 (for first-timers its €7). A pack of five passes is €53. The studio also offers special discounts to professional dancers. Prince Charles: Tickets €11.9. Book there here. BEST FOR: Partying the night away in true style. Sophie Heywood 16 January 2019 Krav Maga, Walk in Peace, Trybe Studio, Kurfürstenstraße 3a, 10785 Berlin.